Welcome to A-Plan, Fareham, your nearest branch. 90 West Street, Fareham, PO16 0EP mile away. 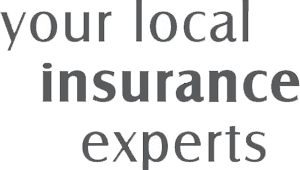 As your local insurance broker, A-Plan Fareham has been serving clients in your area since 2011. We have specialist facilities for private car, home & contents and commercial vehicle insurance. At A-Plan Insurance in Fareham we have been providing quality and competitive car, home and van insurance since June 2011. Our unique philosophy is to take time to understand our clients personally to assure that not only they save money, but that they have the right cover to suit their individual needs and requirements. Taking out a policy is only the start of a relationship and whether it be an adjustment, claim or a simple question our friendly, professional team are on hand to help every step of the way. If you are unfortunate enough to have to make a claim, our specialists will take care of everything, from the first contact to the claim completion, allowing you to relax and have the peace of mind that we are doing the hard work so you don't have to. We have an ever growing number of delighted clients, and are confident that we can give you the right cover, at the right price with a personal level of service which is second to none. We are a supporter of The Rainbow Centre in Fareham. Your Fareham Branch Manager. Get the right cover at a great price! Put our local team to the test to see how we can help you.